The mangrove swamp forests are restricted to the sheltered coasts, estuaries and rivers, and they are important habitats for microbes; wildlife, including fishes and shells; and specialized plant forms. Besides being socio-economically important, mangrove swamps also regulate the hydrology, mitigate floods and buffer against saline water intrusion. They are also important sources of biomass for fuelwood and timber resources and provide various produce used by local communities, small and medium industries. 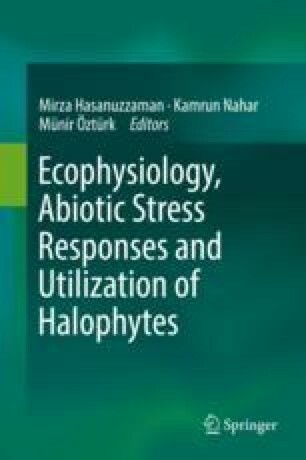 It is herein demonstrated that the biomass of two species of mangroves (Rhizophora mucronata and R. apiculata) in Malaysia have the potential of producing biomass of charcoal and energy production on a small-scale kilns to industries. Despite their importance, mangrove swamp forests are still being cleared for other land uses, mainly aquaculture and agriculture. In light of their recognized values, it is crucial that more suitable areas of mangrove swamp forests are protected for biodiversity conservation and sustainable management purposes. A long-term, systematic and holistic planning would be the incorporation of conservation and forestry objectives as the best means of achieving sustainable forest management of mangroves.